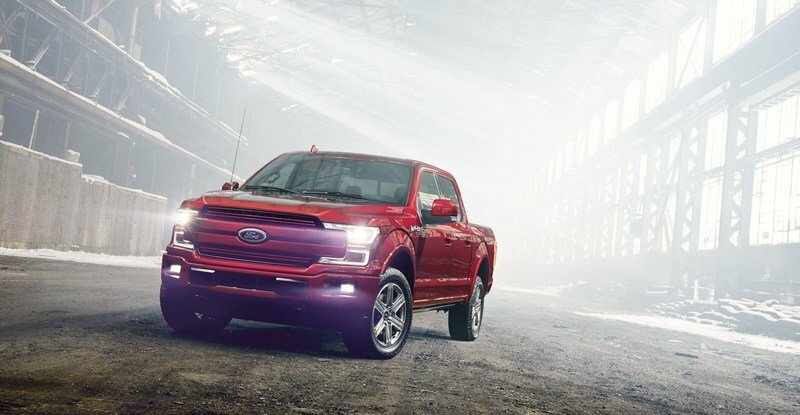 F-150 Goes Diesel with its 2018 Facelift! Ford has finally pulled the covers off its revamped 2018 F-150 pickup. This mid-cycle refresh brings a new set of front grilles, new headlights, new taillights, and upgraded powertrain options, including a 3.0-liter V-6 turbodiesel. Yep, the F-150 is now an oil-burner! Though Ford was very coy with details regarding the powertrain improvements, it has revealed that all but the 3.5-liter EcoBoost V-6 is getting big improvements for 2018. 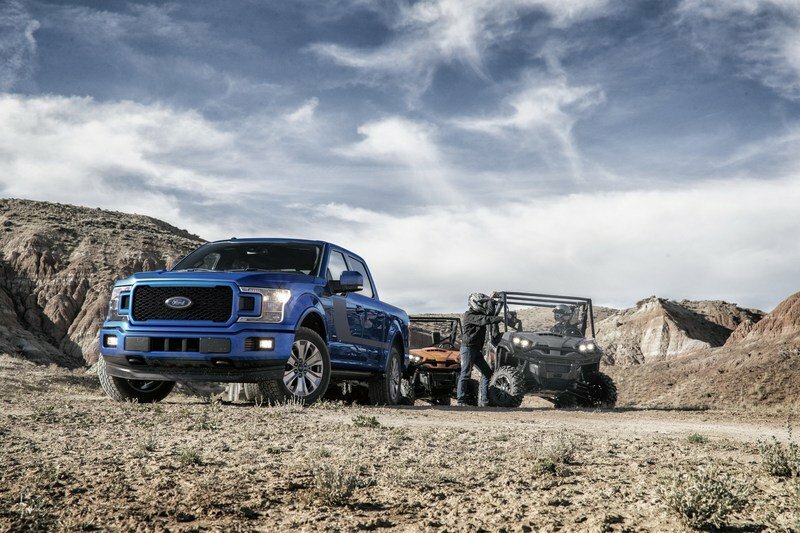 This includes an all-new 3.3-liter gasoline V-6 that replaces the base 3.5-liter V-6; an updated 2.7-liter EcoBoost and 5.0-liter V-8, and the addition of the 3.0-liter Power Stroke V-6. Don’t think Ford’s premier gasoline engine is getting the shaft – the 3.5-liter EcoBoost entered its second generation in 2017, making it just under a year old. Ford did not provide horsepower, torque, fuel economy ratings, or pricing for these new engines, but the base 3.3-liter is expected to make the same 282 horsepower and 253 pound-feet of torque as the outgoing 3.5-liter. We expect fuel economy is the main change here. Every engine besides the base 3.3-liter now comes with Ford’s 10-speed automatic transmission. Nothing was mentioned about the previously announced hybrid powertrain, however. 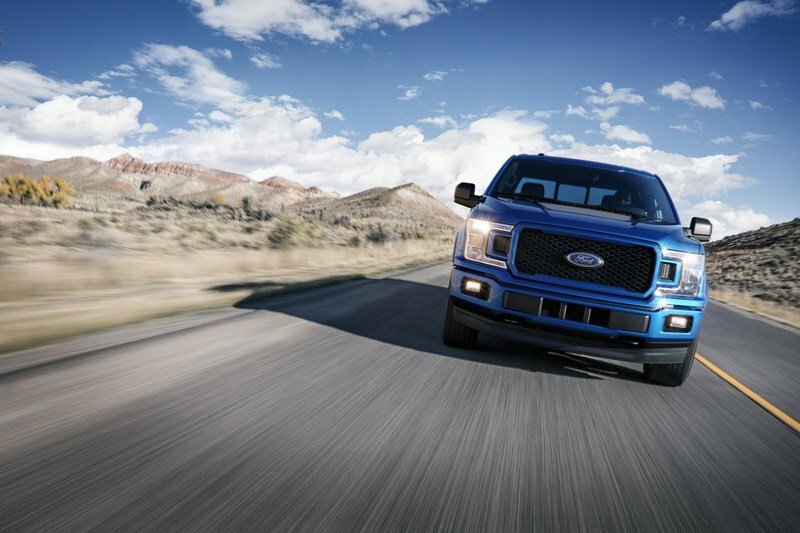 Technology wise, the 2018 F-150 is now available with the segment’s first adaptive cruise control with full stop-and-go functionality and an available Pre-Collision Assist with Pedestrian Detection. Ford catches up with General Motors by offering 4G LTE with Wi-Fi hotspot for the first time, and there’s also a new, high-end B&O PLAY audio system available. Ford’s SYNC and SYNC 3 now offers FordPass with Apple CarPlay and Android Auto. The F-150 continues to offer its 360-degree camera system, line-keep assist, and blind-spot monitoring with rear-cross traffic alert. 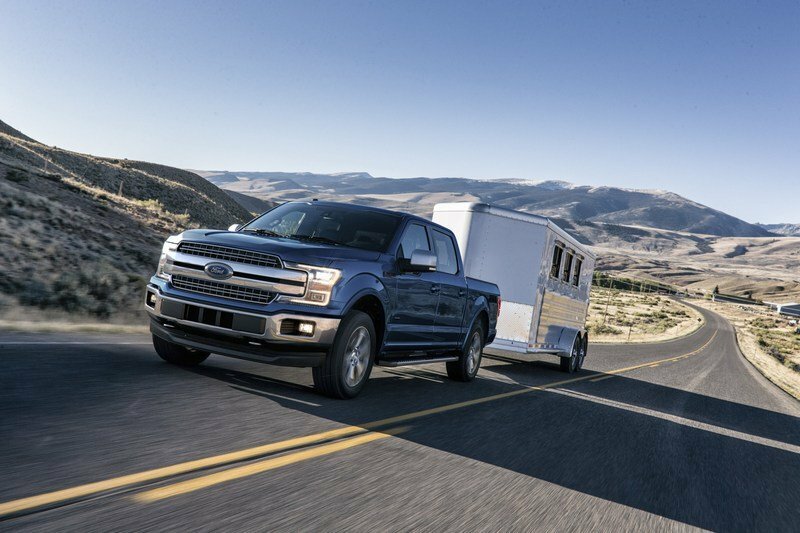 Added to the system from the 2017 Super Duty is Ford’s trailer tow technology, which allows the system to monitor the blind spots of a trailer up to 33 feet in length. 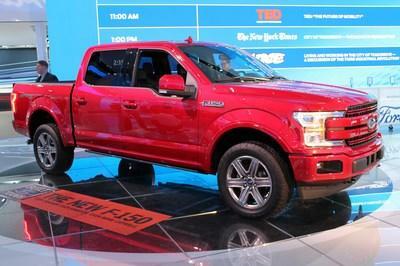 As for aesthetics, the F-150’s new grille is larger and statelier. 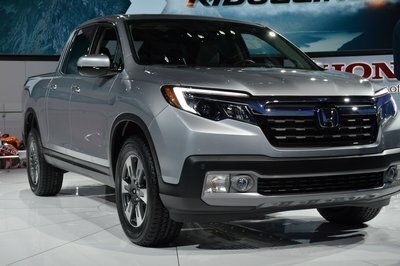 Several design deviations bring different looks to the various trim levels. 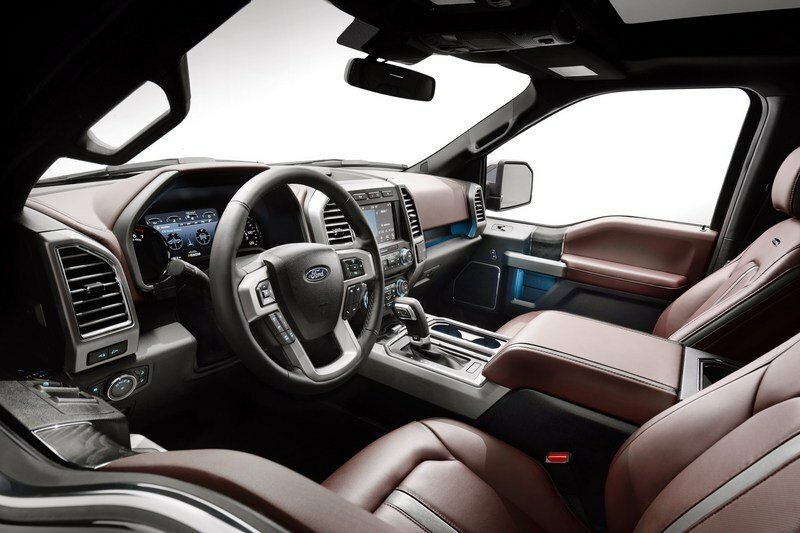 The Sport Appearance Package on the Lariat trim, for example, brings that slick monochromatic theme. The interior, on the other hand, does not receive changes for 2018. We will bring all the details in a full review after the Detroit Auto Show, but for now, continue reading for more information. It would be a gross understatement to say the F-150 is an important vehicle for Ford. 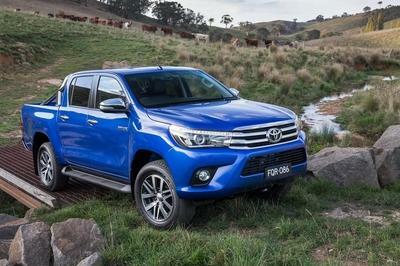 In fact, 2018 marks the F-Series’ 40th year as the best-selling pickup in American and its 35th year as the best-selling overall vehicle in America. [That’s pretty darn impressive. These improvements should keep the Ford ahead of the competition, despite Ford being late to the game in some regards. 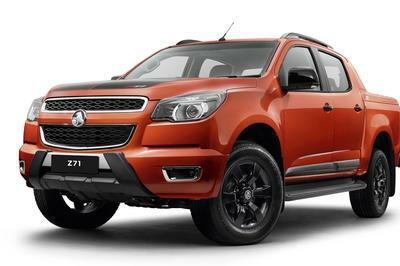 Ram, for example, has had its V-6 turbodiesel in its Ram 1500 for several years now and GM has offered4G LTE Wi-Fi in its trucks since 2014. However, those are about the only areas Ford has to play catch-up. 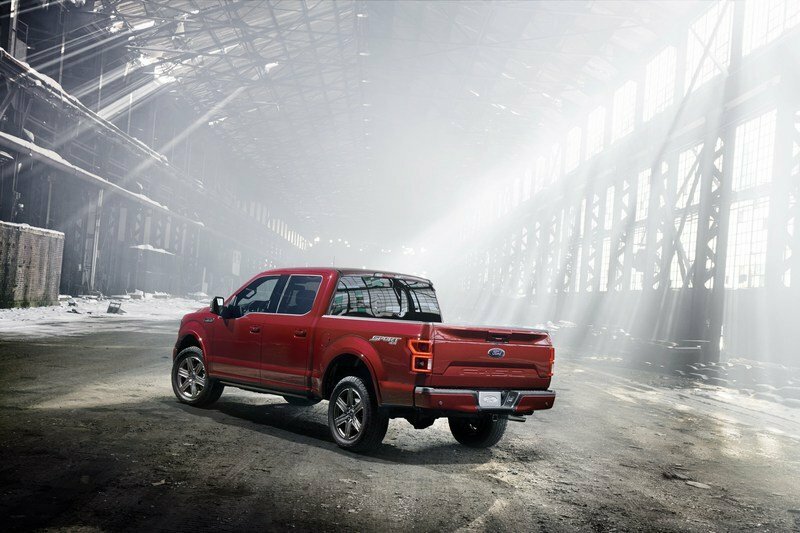 Even without the 2018 refresh, the F-150 would still be the newest truck in the segment, it would still offer the most powertrain choices, offer the best fuel economy in a gasoline engine, and have the latest in-dash and active safety technology. Nevertheless, Ford’s endless pursuit for dominance pushes the bar even further. 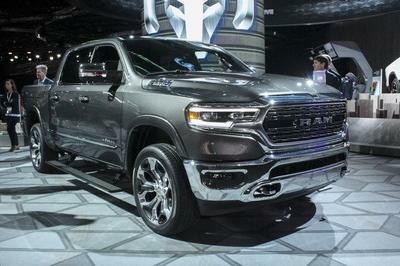 Now GM and Ram (not to mention Toyota) have lots of ground to make up. 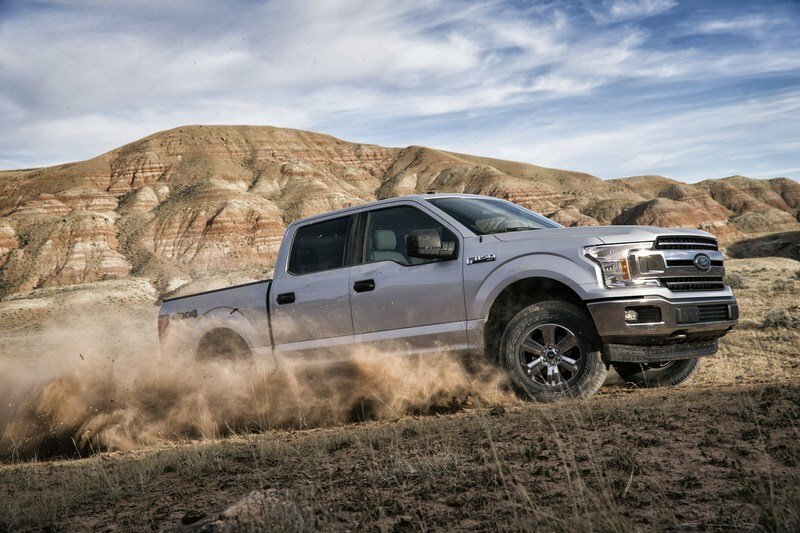 Even without the 2018 refresh, the F-150 would still be the newest truck in the segment, it would still offer the most powertrain choices, offer the best fuel economy in a gasoline engine, and have the latest in-dash and active safety technology. As far as the new 3.0-liter Power Stroke V-6 turbodiesel, Ford’s zipped lips only work so well. See, Ford supplies Jaguar Land Rover with its larger-displacement turbodiesel engines thanks to a relationship that dates back decades with Ford’s ownership of both brands. Tata’s purchase of JLR during the Great Recession hasn’t kept Ford out of the development loop, though. Ford already supplies JLR with a 3.0-liter turbodiesel. In the Range Rover, the 3.0-liter Td6 V-6 makes 254 horsepower at 3,500 rpm and an impressive 440 pound-feet of torque at only 1,750 rpm. And even in the porky 5,500-pound Range Rover with its eight-speed automatic, the V-6 still nets an EPA-estimated 22 mpg city and 28 mpg highway. Considering the Range Rover only comes with a full-time 4WD system, we can expect a RWD F-150 with its lighter curb weight and 10-speed automatic to at least achieve the magic 30 mpg highway. That would beat out the Ram 1500 3.0-liter EcoDiesel V-6’s claim of 29 mpg highway. Speculation aside, rest assured the F-150 Power Stroke will achieve at least 30 mpg highway. Ford has to claim that title in order to solidify respect for is new oil burner. We will bring you more information as Ford releases it in the coming days, weeks, and months. The 2018 F-150 should be on dealer lots by mid-2017, so expect the full spec sheet to be unclassified by then.